2018 was an exceptional year here at MyHeritage. We continued to innovate, and released new and exciting features, many in response to requests from the community, and we enjoyed significant growth of family trees, historical records, and DNA kits in our database. We improved important aspects of our family history platform and upped our genetic genealogy game to help people better understand how they are related to their DNA Matches. Most of all, we are proud that we were able to reunite countless families through our DNA Matches and family history discoveries and to change their lives in a meaningful way. We kicked off the year in January with major improvements to our DNA Matching technology. Anyone who took a MyHeritage DNA test, and anyone who uploaded DNA data from another service, now receives more accurate DNA Matches; more plentiful matches (about 10x more); fewer false positives; more specific and more accurate relationship estimates; and indications on lower confidence DNA Matches to help focus research efforts. We released the long-requested Chromosome Browser. The initial version, a One-to-One Chromosome Browser, displayed DNA segments that you share with one DNA Match. Throughout the year there were many additional upgrades to the Chromosome Browser to enable better exploration of DNA Matches. At the start of February, we released a fun and original feature based on aggregated, anonymous ethnicity data from our users. Ethnicities around the world allows you to explore the most common ethnicities in different countries, and the top countries for each ethnicity, according to data from users who have purchased the MyHeritage DNA kit or uploaded DNA data to MyHeritage. To celebrate Valentine’s Day, we granted users free access to all MyHeritage marriage records. After two and a half years of development, MyHeritage and FamilySearch engineers co-developed a unique feature — FamilySearch Tree Sync. This allows members of the Church of Jesus Christ of Latter-day Saints (LDS) to easily and accurately import a portion of their tree from FamilySearch into MyHeritage, and then keep their MyHeritage and FamilySearch trees synchronized. This feature is still in development — stay tuned for an update at RootsTech 2019. We launched our employee volunteer program, which brings interesting classes to underprivileged children. Throughout the year, employees taught the children about body language, DNA, and many other interesting subjects. 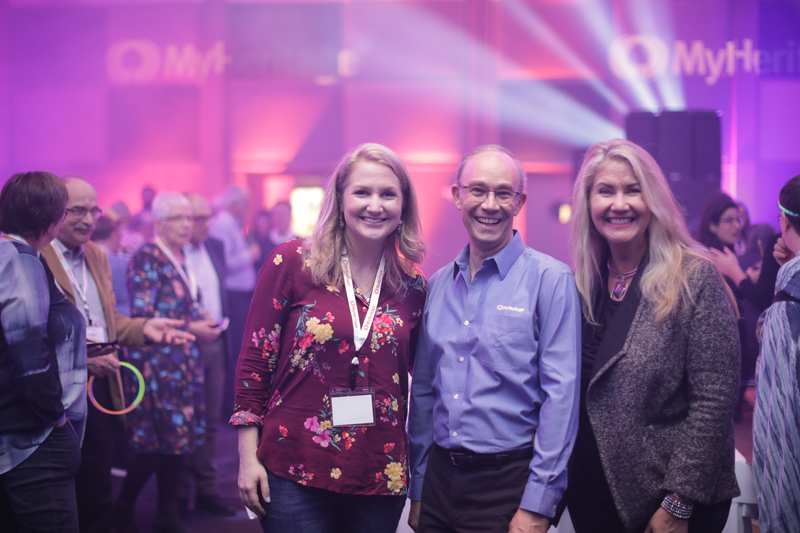 As in previous years, MyHeritage was again the RootsTech General Session Sponsor. We unveiled a brand new booth design and ran back-to-back booth demos on topics ranging from the new One-to-Many DNA Chromosome Browser to annotating historical records on MyHeritage. 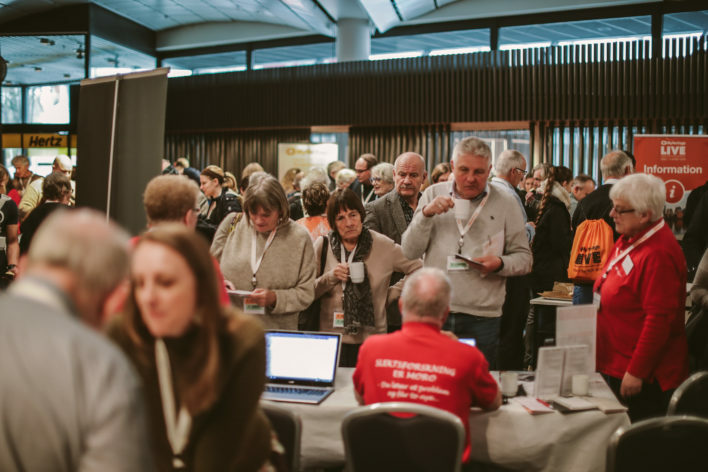 The demos were packed with people wanting to learn more about our many features, new and existing, directly from the product managers and staff involved in developing them. During the conference, more than four hundred of the industry’s movers and shakers joined us at our Roaring Twenties party. 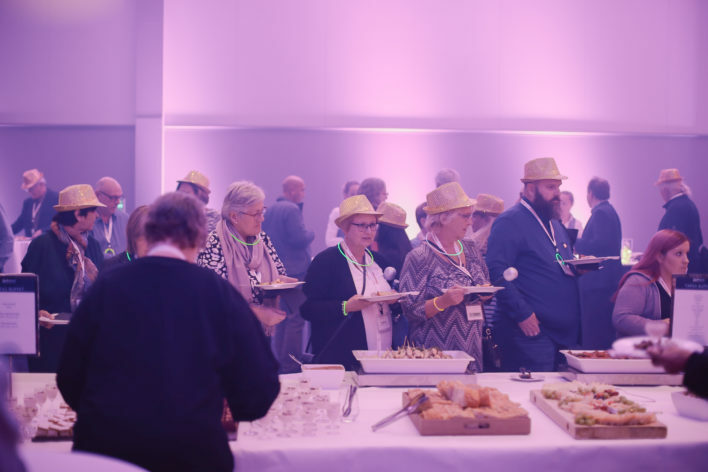 Many of them took a turn on the dance floor, decorated their own headbands and fedoras, challenged each other to a game of giant checkers, or just relaxed in front of a Chaplin movie with a RootsTech Rejuvenator cocktail in their hands. In March we announced a one-of-a-kind pro bono initiative, DNA Quest, to help adoptees and their birth families reunite through DNA testing. Thousands of adoptees applied to participate in DNA Quest, and we provided thousands of free MyHeritage DNA kits to eligible participants around the world. MyHeritage users poured out their hearts to us with their stories of searching, their hopes for future reunions, and the sense of belonging they now feel thanks to their participation in DNA Quest. Susan always wondered whether she had siblings somewhere out there. After receiving a free MyHeritage DNA test through DNA Quest, she discovered a half-brother, Terry, who she hadn’t known about. Susan and Terry, both New Zealanders, live only an hour away from each other. Without this amazing initiative, Susan and Terry may have never met. Read Susan and Terry’s full story. Our Science team, led by MyHeritage’s Chief Science Officer, Dr. Yaniv Erlich, had a groundbreaking paper published in Science, one of the most influential academic journals in the world (a feat which they achieved again 8 months later). The research, which was based on data from Geni.com, and was conducted in collaboration with scientists at Columbia University, the New York Genome Center, MIT, and Harvard, provides fresh insights into the last couple of centuries of marriage and migration in Europe and North America, and the role of genes in longevity. Watch the very cool time-lapse video of migration patterns. The new research and the discoveries from it have sent shock waves through the academic world and the general media. It was featured in dozens of major publications, including The Wall Street Journal, National Geographic, and The New York Times. We announced a major upgrade to the MyHeritage Chromosome Browser that was released in January, by releasing the One-to-Many Chromosome Browser. Together with family tree details like Shared ancestral surnames and Smart Matches™, users can trace back the common ancestors who passed down shared DNA segments to them and their DNA Matches, and reconstruct the relationship path between themselves and DNA Matches which they find intriguing. The new One-to-Many Chromosome Browser, with its support for indicating triangulated segments, is an exciting addition to MyHeritage’s growing arsenal of useful tools for genetic genealogy. We announced that we now offer 24/7 customer support and are probably the first and only family history and DNA company to provide around-the-clock support. The new Inbox and Scanner features in the MyHeritage mobile app were released, helping to improve family history research. The Inbox is a comprehensive email-based messaging feature to communicate with other MyHeritage users, including relatives, regarding DNA Matches, Smart Matches™, and other topics of genealogical collaboration. The Scanner is a useful feature that utilizes a smartphone’s high-resolution camera for scanning old photographs and documents directly into a MyHeritage family site to preserve them digitally. Whatever you scan in the app will be automatically uploaded to your family site on MyHeritage. Scanning documents and photos in the app preserves them in a digital form, protecting them from physical damage and backs them up online so that you won’t risk losing them. It also allows you to tag items with individuals in your family tree for more organized record keeping. In June, we announced the launch of a brand new filtering system for DNA Matches, allowing you to view a particular subset of your DNA Matches and focus on those that match specific criteria or are of more interest to you. We added a beautiful user interface to the DNA Overview page that lets you filter your DNA Matches easily by relationship, by country or by ethnicity. Using the new filter toolbar, you can combine multiple filters, and filter matches by additional criteria such as those that have a family tree, have Shared ancestral surnames with you or have Smart Matches™ with you. Filtering of DNA Matches can be combined with sorting and searching. To keep up with the high demand for MyHeritage DNA kits in Europe, and as part of our efforts to meet growing global demand and decrease shipping time on DNA kits, we opened a new distribution center in Tilburg, the Netherlands. As the market leader in Europe, the demand for MyHeritage DNA test kits in the region has continued to grow rapidly. We saw a 450% increase in DNA kit sales across Europe in the first five months of 2018. Thanks to the opening of the new distribution center, kits for most European users are now being shipped directly from Europe, shortening lead and transit times. As part of our new project called Football DNA, we challenged 8 international football (soccer) legends to question everything they know about team rivalry and national identity. They each took a MyHeritage DNA test and were shocked to discover how their origins break down. We revealed to the players their ethnicity results, information about their DNA Matches, as well as family history research with historical records and photos of their ancestors. The retired players, Gilberto Silva (Brazil), John Barnes (England), Lothar Matthäus (Germany), Clarence Seedorf (Holland), Hernán Crespo (Argentina), Robert Pires (France), Gianluca Zambrotta (Italy), and Luis García (Spain) met in London where they hashed out old rivalries as they prepared to learn more about their ancestral roots. In response to a data breach, we invested significant efforts to tighten security measures and increase the protection of data on our platform. As part of these efforts, we released a Two-Factor Authentication (2FA) feature to further protect MyHeritage accounts, being among the first in the genealogy and DNA industry to provide users with this added layer of security. Building on the initial release, we made Pedigree View available in edit mode. You can now add, edit, and delete tree profiles directly from the Pedigree View, and it is no longer necessary to switch to the Family View to edit your tree. In July we published the story a decades-old family mystery that was finally put to rest. After countless attempts to locate long-lost family members who disappeared in the former Soviet Union 80 years ago, Rani Markovich always assumed that he would never be able to reunite with his grandfather’s lost family. All this changed when Rani enlisted the help of MyHeritage Founder and CEO Gilad Japhet. With rare KGB records and detective work conducted on the ground and on Facebook, the family’s decades-long mystery was finally solved, culminating in a triumphant family reunion in the USA. This emotional reunion between a father and daughter who were brought together thanks to MyHeritage DNA, was featured on The Today Show in August. New Hampshire social worker Kim Fairbank, 51, always knew that she was adopted. After a difficult childhood, she yearned to connect with her biological family. Kim searched for her father for more than 20 years and finally found him after taking a MyHeritage DNA test. 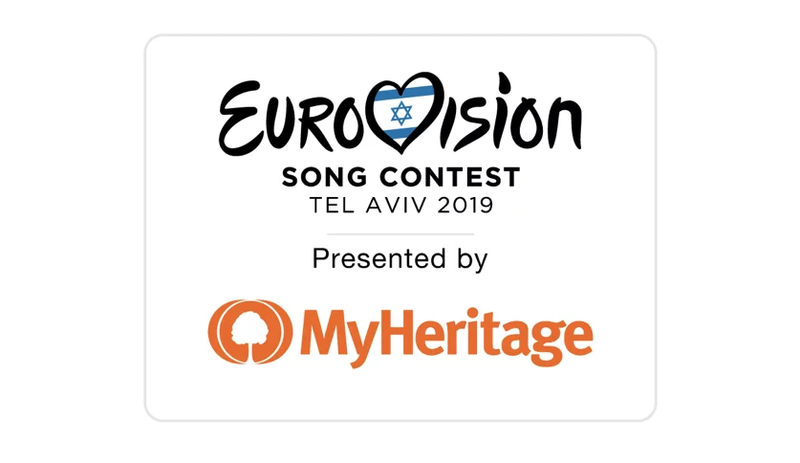 September marked an exciting month as it was announced by the European Broadcasting Union (EBU) that MyHeritage is the Presenting Partner of the Eurovision Song Contest 2019. As the event’s main sponsor, MyHeritage has been granted extensive global association and event, media, and digital rights for the upcoming song contest. The Eurovision Song Contest is a famous international song competition held annually since the 1950s, primarily among the member countries of the European Broadcasting Union. It is the world’s biggest live music event, and a hugely popular television event that is watched live by an average of 200 million people in the past 3 years. We announced that we now support the upload of 23andMe v5 and Living DNA data files, in addition to supporting data uploads from all major DNA testing services, including Ancestry, 23andMe (prior to V5) and Family Tree DNA (Family Finder). This was an industry first. In October, MyHeritage user Allen Henderson of South Carolina shared his incredible family reunion story with Fox & Friends. Allen took a MyHeritage DNA test to discover his roots and explore his ethnic background. Allen never imagined that he would uncover his father’s secret past following his participation in D-Day in Normandy, and his half-brother, Andre, in France. Despite the differences in geography and culture, Allen and Andre were surprised to discover their striking similarities — both in their physical appearance and lifestyle. We published a remarkable story of survival and a silver matchbox. Elda Bivas Gambash searched for the descendants of a man named Shimon Luria for over thirty years. Shimon saved her grandfather’s life during WWI by giving him food during his captivity. Shimon had also given her grandfather a silver matchbox that her grandfather had cherished throughout his life. Thanks to MyHeritage, the Gambash family was finally able to pay tribute and thank the generous man’s family. November was a HUGE month for us at MyHeritage. 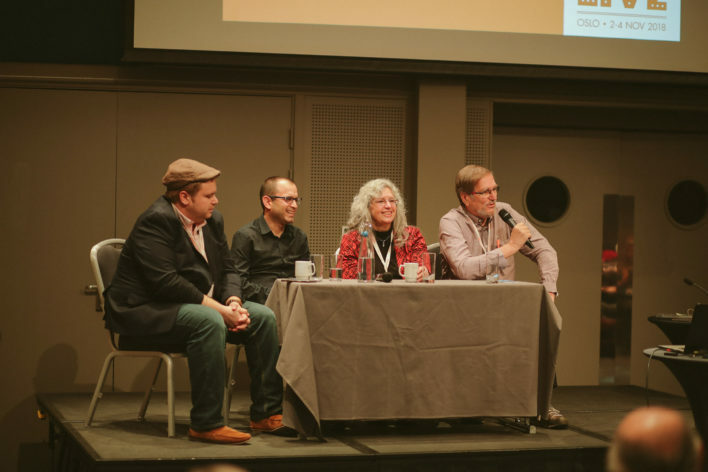 We hosted MyHeritage LIVE – our first-ever international user conference in Oslo, Norway. The conference was a tremendous success. 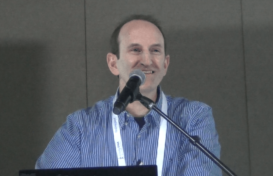 One highlight was the emotional keynote address given by MyHeritage’s Founder and CEO, Gilad Japhet. 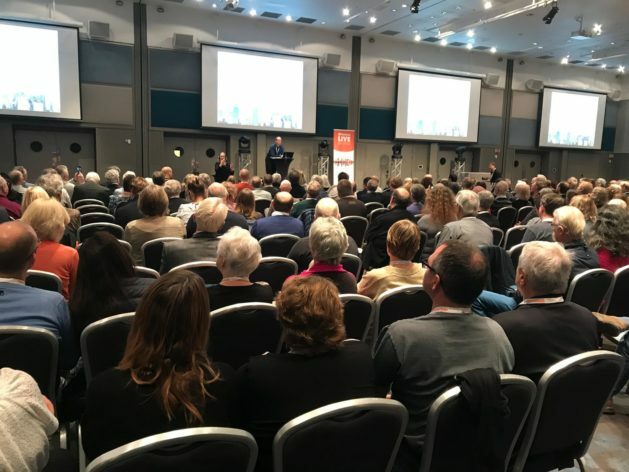 There were many key MyHeritage updates announced at the conference. 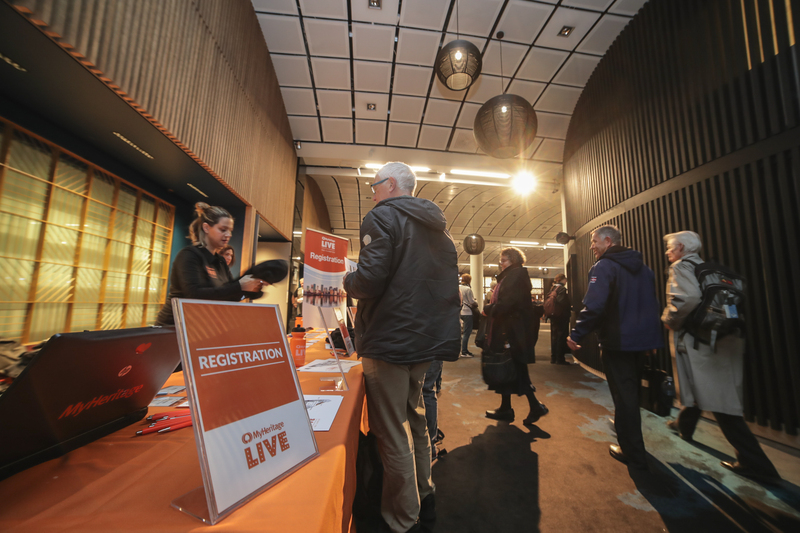 MyHeritage LIVE 2018 – teaser from MyHeritage on Vimeo. 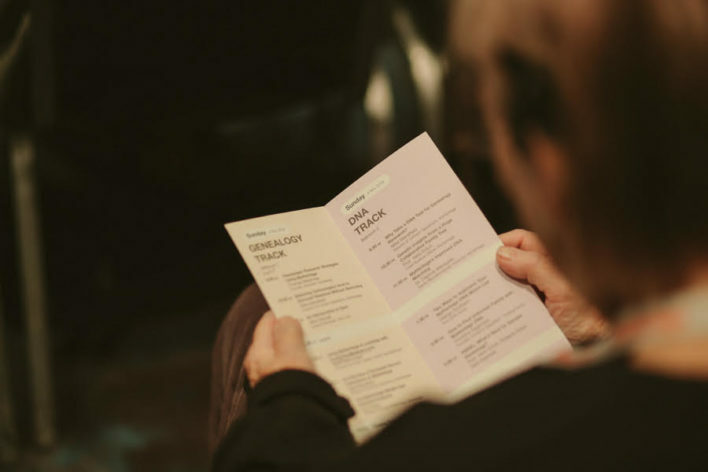 Read our full recap of the conference, and make sure to watch all 24 lectures from the conference for FREE. We wish to thank all the guest speakers, and all participants, which made our conference so successful. To mark 100 years since the end of WWI on November 11, we offered free access to all 47 million military records from around the world in MyHeritage SuperSearch™ as a fitting tribute to the personal contributions made by our ancestors. We announced the release of a new feature for DNA users — the display of Shared Ancestral Places for DNA Matches. We now show you towns, countries, and U.S. states where birth or death events of ancestors took place that appear in your family tree and that you have in common with your DNA Matches. This feature makes our DNA Matching even more useful by helping pinpoint how you and your DNA Matches could be related. 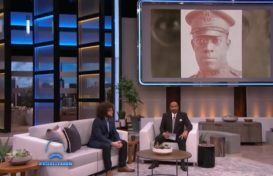 In December, MyHeritage DNA was featured on the Steve Harvey Show. We helped Steve Harvey’s friend, Will Phoenix, discover his roots using MyHeritage DNA. Will was amazed to learn more about his family history and discover the origin of his unique surname. Seeing documents from his ancestors’ lives for the very first time made a profound impact on him. We also presented the well-known TV persona Dr. Phil with interesting insights into his family history and his DNA results. Dr. Phil discovered that he is Irish, Scottish, and Welsh (64.3%), English (28.4%), and Iberian (7.3%). He also received 20,000 DNA matches to MyHeritage users from 64 different countries. We explored the lives of some of his ancestors, including his great-great-grandfather who fought in the Mexican War, information about his grandfather, yearbook photos for triplet aunts and uncle, and a surprising family connection to a well-known individual. 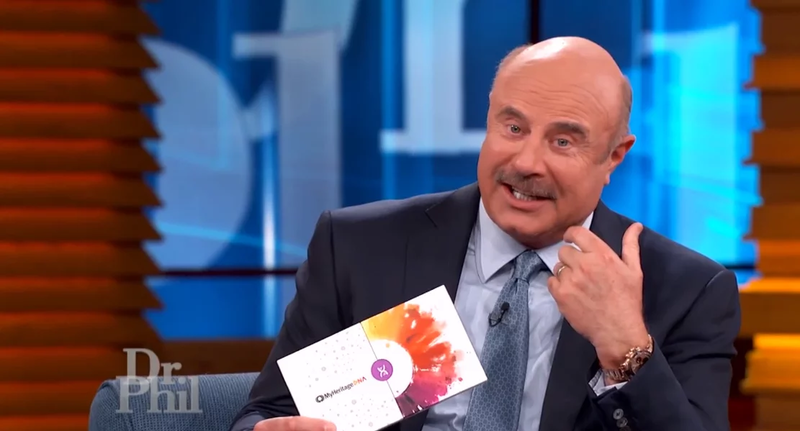 Dr. Phil was amazed by his ethnicity breakdown and by the discoveries he made about his family. Learning about his roots has left him inspired and connected to his ancestors in ways he never imagined. Legacy Family Tree Webinars announced the addition of Closed Captioning to its service, allowing members of the genealogy community that haven’t been able to participate in online genealogy education to now take part. We couldn’t agree more with his sentiments — there has never been a better time to explore your origins with MyHeritage DNA. With more than 1 billion new historical records added this year alone, 2018 has shown a record number of historical record additions. These include 51 new collections as well as updates to 8 important existing collections. Enjoy all previous webinars on Legacy Family Tree Webinars, which are completely free and join us for future webinars. From all of us here at MyHeritage, we wish you and your families a Happy New Year and a fantastic 2019! A big thank you to all those who were involved in putting the compile together – a marathon effort showing the amount or research that you guys are doing to benefit all of us. Not forgetting those of you involved in the more mundane every day sometimes boring activities. Together, you’re a great asset to us subscribers. It was amazing to read what my heritage has done in 2018 . I am proud of your company’s progress. I hope in near future to secure a subscription to use the genealogy portion. Great work. Very interesting how we are all blended . I’m trying to find Marriage information regarding my Great-Aunt. You are still missing a crucial part of DNA, the X chromosome. My family has many matches that match us ONLY on the X chromosome with segments between 25cM and 60cM, sometimes more than one large segment. There was a blog in early 2018 here that mentioned you would work on it for that year but it never materialized. I have some matches here in the same lines that have some matching only on the X at 23andMe. I don’t know if they are also matching me on the X here as they are not anywhere else with segment data available and Ancestry refuses to give us a chromosome browser. Please support the X chromosome. Thank you for the new tools but I would trade the Theories for the X chromosome data but not the clustering, that’s a keeper!